As a webmaster and a content creator, you know how keywords work out in search engine optimization. Your keyword needs to appear on your content; if not, your content will not be recognized in search engine results. People are used to using short keywords but rarely do they make use of long tail keywords. 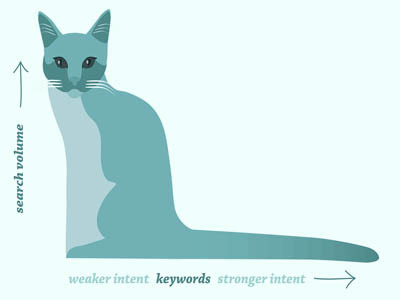 Know what long-tail keywords are! Short-tail keywords-These are the most searched keywords because they are short. These keywords have one to three words. Long-tail keywords- Different from the short-tail keywords the keywords are lengthier. They can also be called long-tail phrases. These long-tails are made up of short tail keywords. As for the long-tail keywords, they will give you accurate results in comparison to the short tail keywords. You must research to know about your target audience and know what they are searching for on the internet. What you need to do is search for the related keywords and put your focus there. To get the best keyword ideas, put yourself into the visitor’s shoes and think of what they are looking for. This will include terms they search on the internet for them to get what they are looking for. This will go a long way in improving your chances to grow traffic. Diversify the long-tail keywords; you need not necessarily use the keyword as it is. You will cover more when you diversify the keywords. As you work on getting traffic with the long tail keywords, you still need to get traffic for your website before your SEO techniques start bringing you traffic. This is where we come in; we have quality targeted traffic that will turn around your business before you start getting quality organic traffic.